So light and thin, you'll forget it's there until you need it. Over 12,000 sold. We've never seen another charger as light. Sleek form factor fits in your pocket behind your phone. 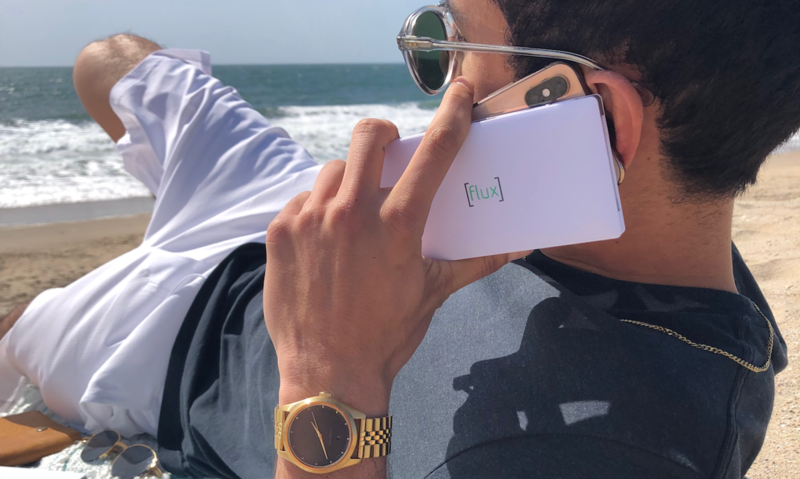 Flux has built-in cables for iPhone and Android, so you don't need to bring a separate connector. All of our chargers are FCC, CE, and RoHS certified, so you can always bring it with you. 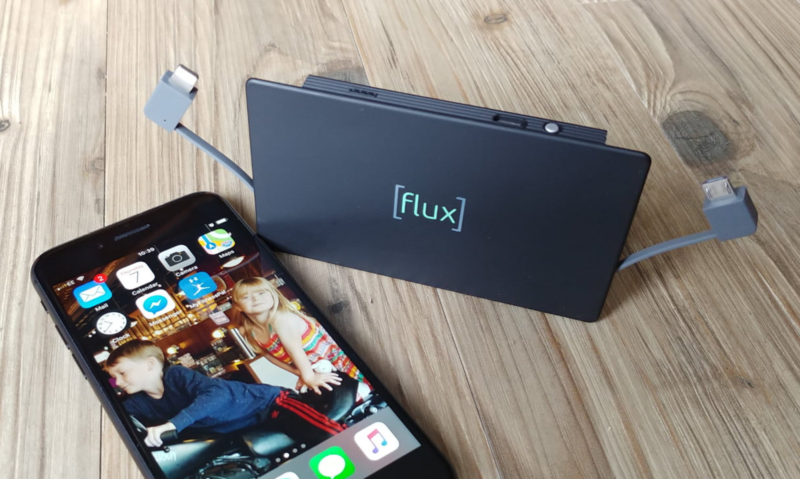 Why buy a Flux charger? The batteries built into your phone just don't cut it. But other portable chargers are heavy and take up lots of space, so they're a pain to carry. 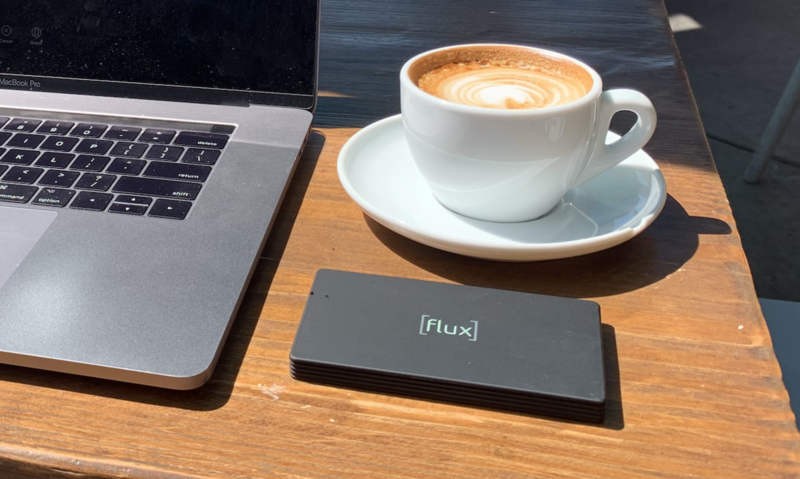 Flux is optimized to be the most portable charger possible. It's feather-light and probably smaller than your phone, so you'll barely notice it's there until you need it. And the best part is it has built-in cables, so you don't need to worry about bringing a separate connector with you. Once you have one, you'll wonder how you lived without it. Our customers are our favorite spokespeople.